You all know by now that I love a good party so when I was asked if I would like to join the Hearts for Home Blog Hop aka Link Party, I was totally in! I’ve never done this before so I am excited to be a part of this team of bloggers bringing you some of the best of all things family from blog land. 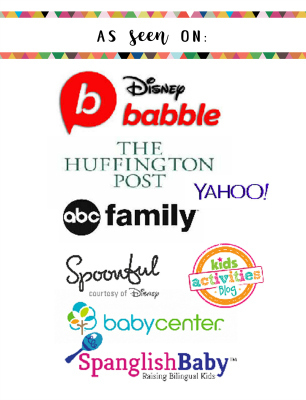 If you have no idea what a Link Party or Blog Hop is read below. The Hearts for Home Blog Hop is a weekly blog hop that begins every Thursday morning. The theme of this blog hop is showing that our hearts are for our homes. 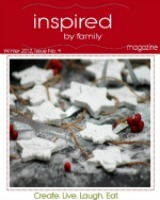 Post topics include: homeschooling, marriage, parenting, homemaking, faith, budgeting, crafts, DIY projects and more! We would love to see you link up your posts. We feature the most popular post and a few of our favorites every week! Without further ado, I would like to introduce you all to the co-hosts of this blog hop at the end is where you can link up your projects on all things family: crafts, kids activities, diy projects, recipes, parenting, homeschooling, marriage, homemaking, faith, budgeting and more! When you link up your project it will be seen on ALL 26 blogs, now that’s some good exposure for you 5 minute link-up. Will you be one of the next Featured Bloggers? Heather Bowen is a homeschooling mom of two sweet girls. She is married to her best friend, Andrew, and lives in southeastern North Carolina. Heather is a nurse by trade, but in late 2012, she left her nursing scrubs behind to embrace the life of a work at home mom. She blogs at Upside Down Homeschooling and Frugal Homeschool Family. Follow Heather on Facebook, Twitter, and Pinterest. Erin is the author of The Usual Mayhem blog. She is also a mother of three, a homeschooler, writer, daycare educator and possibly the most easily distracted person on the planet. She drinks vats of coffee, hikes every day with her kids and dogs, and is the luckiest person she knows in real life. That being said, if an aging millionaire would like to leave her a vast unexpected inheritance, she’d be happy to accept. You can follow Erin as she navigates life’s Mayhem at theusualmayhem.com and on Facebook. Jolene is a homeschooling blogger who hails from Johannesburg, South Africa. She is a wife and mom of 4 children aged 11, 6, 4 and 20 months. Her family are all avid readers and love spending time together reading, watching movies and spending time in the outdoors. You can read her blog at Monsters Ed Homeschooling Academy and follow along as she Homeschools on Facebook, Twitter and Pinterest. Amy is a wife to a military man, and a homeschooling mom with six beautiful children ages 14, 12, 9, 7, 4 and 4. They currently live in southern California, where the family enjoys playing on the beach and at Legoland, CA. Amy loves to write, sing, hike and read great books. She also loves to teach— which turns out to be a very good thing! Amy grew up in Southern Indiana, the daughter of a preacher and a teacher. She has four siblings and they lived on 2.5 acres next to a woods, where they helped with their Daddy’s garden and roamed to their hearts content. She attended Kentucky Christian College where she met her husband. God eventually blessed them with children, but for five long years they weren’t able to have children and during that time Amy started hearing about homeschooling through the Focus on the Family radio program. She would listen during lunch hour at work and come home to tell her husband all about it. It wasn’t until their first child was two years old that Daniel heard Focus on the Family during his drive home from work and decided they should homeschool their precious daughter. You can find Amy blogging at Bow of Bronze and connect with her through Facebook, Twitter, and Pinterest. Leann is a homeschooling mama of an over-active 7-year-old, proud wife of a cop, and pet lover of their two dogs, frogs, turtles, and cricket. Her blog, The Hands-On Homeschooler (formerly Montessori Tidbits), chronicles their homeschooling experiences, and is where she shares her activities and ideas for putting hands-on fun back into learning. Leann is also a contributing writer at Inner Child Learning and Hip Homeschool Moms. Prior to being a stay-at-home mom who enjoys skipping through the woods on a nature hike, she taught math and computer science at one of the top 50 high schools in the country. You can also find her on Facebook, Pinterest, Google+, Instagram, and Twitter. Stephanie is homeschooling mama of 2 and wife to the man of her dreams. She has been creating graphics for her web-based business for three years. While homeschooling was never something she envisioned for herself she is thankful that God placed it upon her heart. Find her blogging at, The Multi Taskin’ Mom, and her design website, Tatorbug Creations. Trish has been married to her best friend, David, for 16 years and they have three sons (aged 13, 12 and 9). Trish is from the coast of NC but they now live in rural West TN on a 40+ acre farm. She has been homeschooling since 2009 and her homeschool style leans towards a Montessori approach with a heavy emphasis on hands-on learning. They also own a small business that Trish runs from home as well as being a co-owner of Hip Homeschool Moms. Trish’s family is Messianic and they love studying the Scriptures, learning Hebrew and growing in their faith and walk daily. In her spare time, Trish loves to write, work in their garden and can regularly be found trying to learn something new, modeling that learning is indeed a life-long endeavor! You can also find her on Live and Learn Farm, Facebook, Pinterest, Google+, Sulia, and Twitter. Sanz is an accidental homeschool mom of four children: seven, five and two year old boys and a three-month old baby girl. She is from the mountains of Western Wyoming but now lives in the suburbs of Salt Lake City where her husband of eight years works as a computer networker. Sanz has a degree in Political Science from Brigham Young University-Hawaii. She always thought her children would attend public school until it came time for Kindergarten registration. She decided to “just wait one more year” and skipped registration that year. That one more year changed everything and led them to homeschooling. Sanz loves athletics: playing volleyball, hiking, snow and water skiing, decorating her home, and being in wide open spaces. She never leaves home without a book (probably non-fiction) and some fabulous earrings. Sanz blogs regularly at From The Mrs. www.fromthemrs.blogspot.com. Jennifer is a wife, mother of three (twins plus one! ), and daughter of The King! They are fairly new on their homeschooling journey. Her twin boys are in first grade and her little princess is just beginning her preschool days. They are just a normal family following God’s plan for our family! You can find Jennifer blogging at Godly Glimpses. Lisa Boyle, and her husband, Mike (a letter-carrier and recently retired Army soldier), live in suburban Philadelphia with their four children, whom their homeschool. Lisa’s background is in Education and she taught in both public and private schools before having her children. She is an adjunct instructor for a local college. She was also a school administrator for 2 years. Her interests include blogging, reading, travel, homechooling, making all kinds of crafts, taking photos and being an active member of their church. Lisa blogs at Home to 4 Kiddos. It celebrates their homeschool life, including posts about education, reviews, recipes, faith and more. Misty is Joe’s Help Meet, and a stay at home, homeschooling mother of two wonderful blessings. We are raising our children in “Vacationland” and seek to raise our 3 children to love and serve the Lord throughout their entire lives. You can find me blogging about marriage, homeschooling and faith at Simply Helping Him. You can connect with Misty on Pinterest, Twitter, BlogLovin, and Facebook. Rebecca is a second generation unschooling mom to three goofy, nature loving, sports obsessed kids (ages 9, 12 and 15). For their family, learning is a lifestyle. Their time is spent living life together and passionately pursuing our interests and goals. She loves sharing with others about homeschooling, unschooling, interest-led learning, incorporating many of the lovely aspects of the Charlotte Mason method and an abundance of nature study. Join them on her blog Down a Rabbit Trail as we venture off the path to follow the rabbit trails of life wherever they lead us. Interest-led learning with a Charlotte Mason flair! Tauna loves her family and loves God. She is a homeschooling mama that has been married for 8 years and has 4 young children. She writes about family, faith, homemaking and homeschooling. You can find her at Proverbial Homemaker, so named because, as she says, “me becoming a wife, mom, and homemaker proves that anything is possible with God. Annette is a wife to a paraglider and mother to 5 awesome kids! She is the author/ owner of the blog Tips From a Typical Mom. She is also a preschool teacher, photographer, soccer mom, and wanna be graphic designer. She’s a lover of chips and salsa, french fries and mint chip ice cream. She loves sharing tips, recipes, crafts, and free printables on her blog. Erin is a stay-at-home mother to four beautiful children and married to one very wonderful man. She enjoys blogging at Water on the Floor, making and selling crafts, baking healthy treats, and reading books. Come join her in the never-ending adventures in her often crazy house. You can connect with her on Facebook. or Pinterest. NextGen Homeschool looks at today’s homeschooling experience through the eyes of four homeschooled sisters — from two different families — who have chosen to pass along the gift of homeschooling to our next generation, our own children. Together, we are homeschooling 11 children this year, with two homeschool graduates. Our mission is to encourage and support today’s homeschooling families by sharing our experiences as NextGen Homeschoolers. homeschoolers. When she and her boys are not in their schoolroom, they spend as much time as possible exploring nature and seizing learning opportunities whenever they appear. You can find Anne at Learning Table. Mari Hernandez-Tuten is the creative director of Inspired by Familia, blog-zine where she hopes to inspire you to: Create, Live, Laugh and Cook! She is also a freelance writer, speaker, counselor and missionary. But above all a mom to 3 amazing boys and wife to one handsome man. Miranda is a homeschooling mom and wife. Her and her husband, Brian, have been blessed with 4 little ones, so far. Taylor is 15, Alyssa is 13 and Morgan and Carter are 11. (Yes, twins!) She has been homeschooling for 9 years. She has a love of photography, anything involved with homesteading, serving her family and gets weak in the knees for a cute pair of boots. The family spends a lot of time outside. They enjoy hiking, camping and gardening. You can find out more about her and the adventures that the family enjoy by visiting her blog, The Pebble Pond. She blogs about homeschooling, raising a daughter with a physical disability, going from being a city girl to a country girl, recipes, simple living and then she takes picture of it all! You can also follow Miranda on Twitter, Facebook, Google+ and Pinterest. Tara Mitchell is the wife of Matt and mother of two boys and one girl. She is currently homeschooling her daughter – 5th grade. The two older boys were homeschooled in previous years. She and her family recently moved from Texas to Ohio. She loves reading, crocheting, sewing, and watching movies with her crew. Be sure to visit her blog at This Sweet Life. Richele is an author, designer, and a history-loving homeschooling mom to four children. Her homeschooling journey began over 10 years ago and, since then, she has taught everything from tying shoelaces to physics. Because her background in Educational Psychology did not cover removing Play Doh from the carpet or balancing a laundry basket on her head while teaching Biology, she considers herself learning on the job. You can find her blogging at Under the Golden Apple Tree and Moms of Dyslexics. Alicia is a Chicago area mom of 2 active, sports playing little boys. She started her blog, Making Time For Mommy, in 2008 when her oldest was just a month old as a way to make time for herself and connect with other moms. She blogs about raising children with Special Needs, homemaking, causes she supports, children’s activities, and travel. She loves working with companies as a Brand Ambassador, Brand Spokesperson, and local Brand-Blogger connector and is thankful for all of the opportunities that blogging has brought her family. Alicia works full-time from home in Marketing. She admits that she spends way too much time on Social Media connecting with others and not enough time cleaning and working out. To-do lists and Starbucks coffee keep her sane. In her “free time” she loves exploring the Midwest with her family and shopping for great deals. Connect with Alicia on Facebook, Twitter, or Pinterest. Amy, resident scribe at A Nest in the Rocks, is married to a wonderful man who smiles away at her wacky ideas and classroom messes. Enjoyed by her Big Helper and her Little Man, who love to get down and dirty during school time and playtime, they can usually be found building away, while Amy frantically photographs and writes about each experience. You can find their Nest and read about their family adventures at A Nest in the Rocks.